As part of the progressive roll out of its state-of-the-art new venue, Harbord Diggers has recently opened its new community room that sees the return of a range of sub-clubs and traditional RSL activities. With the introduction of this purpose-built room, the Diggers now has a location for a number of its beloved sub-clubs, as well as traditional club events and activities such as bingo, poker and trivia. The space will also provide an area for kids’ discos, family events and community activities. Adding to the new facilities on offer, Harbord Diggers has also revamped its lounge and entertainment spaces, introducing permanent TAB facilities and more plasma TV screens for greater sports and events coverage. “Our efforts have focused on the creation of a multi-use space, ensuring that the club is attractive to a wide range of members and the Northern Beaches community. Sub-club activities returning to our new venue include chess, cribbage, indoor bowls, bridge, Toastmasters and a garden club,” said Mr Phillips. In preparation for Stage Two of the new Harbord Diggers venue, the club will also unveil its leasing opportunities in the new health and wellbeing precinct. Seeking expressions of interest from operators such as hairdressers, florists/gift shops, podiatrists, beauticians or other allied health professionals, this precinct will be developed in 2019 to support the new fitness and aquatic centre currently under construction. “We want to provide kids, parents, adults, seniors and everyone in between with a place they can visit to enjoy the small things. Along with our Stage Two facilities, which include a state-of-the-art fitness and aquatic centre, we feel this new precinct would be well suited to a range of additional health and wellbeing operators,” explained Mr Phillips. 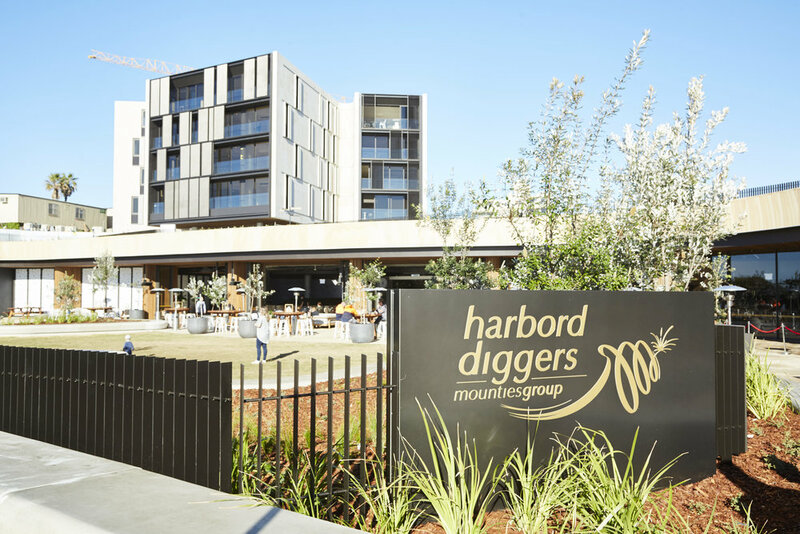 “Expressions of Interest are now open to operators who are interested in joining the Diggers family through our partners at Precinct Retail,” he added.